Shah’s music reflects the insatiably curious mind of an ethnographer, the soul of a poet, and the eye of a painter. 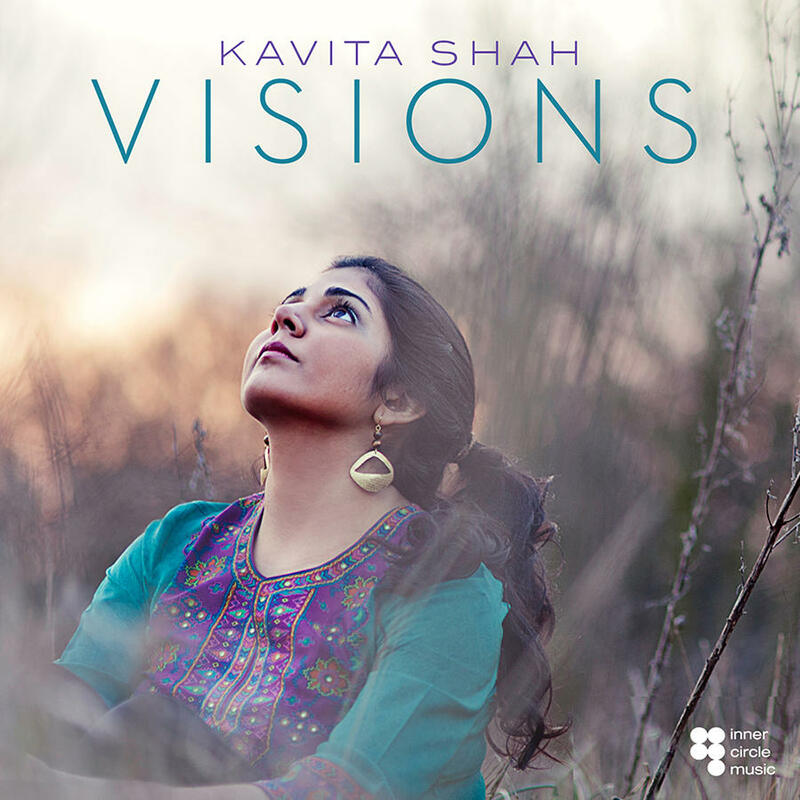 An artist of many parts, Kavita Shah, an ascending, young singer/songwriter of Indian descent, applies her keen, empathetic intelligence, ethereally beautiful voice and adventurous spirit by using global music and multi-cultural influences as sources of inspiration for expressing her personal and cultural identity on her adventurous debut album aptly titled Visions. 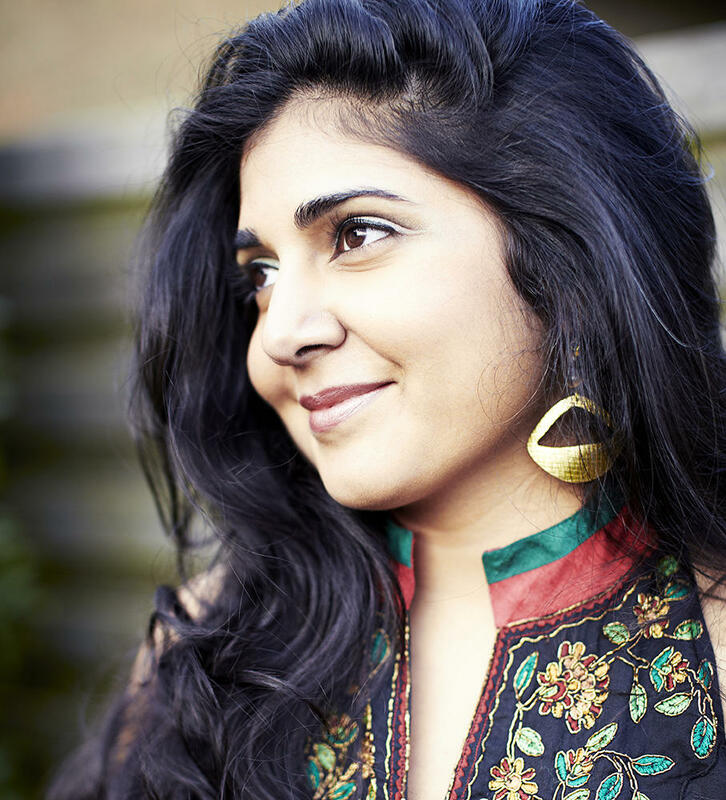 Out of her life experiences as a first-generation Indian-American, a multi-lingual student of world cultures and world traveler, Shah invents musical memoirs that illuminate Visions. Her mini-portraits of the artist as a young woman connect universally and directly with her increasingly large, diverse, cross-over, cross-generational, and curious audiences of young and old, jazz and contemporary and world music fans, or virtually anyone seeking new music that is neither homogenized nor fits neatly into tiny boxes. Besides playing in Europe, she’s appeared often in such intellectually chic spots as the Cornelia Street Café and the Nuyorican Poets Café. "Being a global citizen in the 21st century means having a somewhat disjointed life, scattered memories, connections, and experiences that can be enriching, but also isolating." The graduate of Harvard and Manhattan School of Music explores world music as a gateway to understanding human consciousness and her cultural heritage. Shah’s reflections are, in many ways, universally relevant as much for you and me as they are for her. While presented in an accomplished, immediately accessible, delightful manner, all of Shah’s music, not just her artful, heart-felt exploration of her Indian roots, reflects the insatiably curious mind of an ethnographer, the soul of a poet, and the eye of a painter. Riding high on her acclaimed CD, and a successful tour that has played in Paris and traversed stateside from coast-to coast, including stops at such premier East Coast venues as The Kennedy Center and The Philadelphia Museum of Art, the Manhattan native brings her eclectic but highly original, deeply personal take on world music and multicultural influences to Connecticut as she performs with her supporting quartet at 8:30 pm on Saturday, August 23, at The Side Door Jazz Club in Old Lyme. A multicultural mosaic of a memoir, Visions uses world music as a lingua franca to relate Shah’s narrative line that’s alive with joy and tempered with sadness (her beloved father died when she was only 18) and lyrical reflection, all eloquently expressed through her kaleidoscopic synthesis of jazz, Afro-Brazilian, West African and Hindustani music. Shah's painter's eye creates something new not just with her original ragas and impressionist portraits of time and place, but also with her reinterpretations of pieces by artists as varied as Stevie Wonder (his Visions is the CD’s title tune); Joni Mitchell (Little Green); Antonio Carlos Jobim (Triste); Wayne Shorter (Deluge) and the hip-hop hit by M.I.A. (Paper Planes). Working with a jazz quintet beefed up with Indian tablas and the West African kora, Shah collaborates on her debut disc with the renowned, Benin-born guitarist Lionel Loueke, co-producer of the CD, which is released on the noted saxophonist Steve Wilson’s indie label, Inner Circle Music. Wilson sits in on three tracks on saxophone and flute, as does Loueke on guitar, voice and percussion. "I'm at this unique crossroads where I can share my story with others. It's a dialogue. It's back-and-forth between the audience and the music." Shah’s cast of more than a dozen players also features the Australian keyboardist Steve Newcomb, Paris-born guitarist Michael Valeanu, the sensational, young Asian-Australian bassist Linda Oh, French drummer Guilhem Flouzat, Brazilian percussionist Rogerio Boccato, and, with mind-expanding special effect, Stephen Cellucci Malian kora Yacouba Sissoko. Along with Shah’s royal array, the visionary vocalist’s dream-weaving, surprise-filled music is abetted by a string quartet conducted by Japanese composer Miho Hazama, adding textures to four tracks on the CD. Part of what makes Shah’s music work, aside from talent and lifelong training (she has a master’s degree in jazz voice from Manhattan School of Music) is that her pieces are deeply rooted in her life experiences. So when she incorporates a tabla player or a kora player in her ensemble, it doesn’t sound like a gratuitous addition, a merely facile way to sound hip by grafting together a global hybrid. Instead, her genre blending and bending comes across as the real deal, very much her own creation, without any attempt at or claims of being true to classical Indian, West African or any other world music traditions that she may use as a palette and inspiration for her own inventive portraits. Without imitation or subversion, global genres become part of Shah’s special, syncretic world of musical co-existence where disparate elements reside in continuous, harmonious dialogue with one another. “I was talking with someone the other day about musicians,” Shah said by phone from her Manhattan apartment, “and this person said to me, ‘You can only play what you’ve experienced.’” Music and life, in this interior view, are in some ways mirror images of one another, symbiotic forces nourishing one another. “This music is really part of who I am,” Shah said. It’s also, she said, a reflection of her passion for language and literature, a love reflected in her fluency in French, Spanish, Portuguese and, of course, English. More recently, the word and music maven has begun learning Hindi, one of the official languages of India. Much of Shah’s inspiration is rooted in her family history and heritage, with its themes of migration and diaspora, of passages from India to America and back, beginning with Shah’s paternal grandfather, a book publisher who came to the United States from his native Bombay (now Mumbai) in the 1940s. After living and working here into the ’50s, he returned to India and was one of the earliest, perhaps even the first, publisher to market American books in his homeland. When her paternal grandfather first arrived in America more than six decades ago, Shah said, there were few Indian émigrés living in New York City. Historically, it was an exciting time for idealism and internationalism in the post-World War II Era. Particularly with the defeat of fascism, the founding of the United Nations, the decline and fall of the British Empire, the rise of Gandhi, the collapse of the British Raj and the emergence of India as an independent nation. In the United States, Shah’s father met her mother, who had come from a working class family in a small village neighboring Bombay. Her mother was one of 13 siblings in a tight-knit family whose unconventional father, an ambitious incense maker, valued education as the key to life’s success. This was a core belief in the power of knowledge that Shah herself was to benefit from through her parents’ absolute faith in the benefits of education and immersion in all things cultural and intellectual. Shah said, “My maternal grandfather would say, ‘I want all my daughters to be educated, and I want to make them into doctors and lawyers.’ He absolutely forbade religion in the house, which was a very iconoclastic action, especially back then. A patriarchal figure, he saw religion as a distraction from education, as the opium of the people sort of thing. Music was also prohibited in his household as well because, he said, music was either related to religion in terms of devotional music or to prostitution, in terms of showing your body by dancing for men,” she said. Music abounded in the loving, intellectually stimulating home of her childhood in mid-Manhattan. It wasn’t just Bollywood hit songs, or Indian classical music, but also every kind of pop music, from The Beatles and Michael Jackson to Frank Sinatra. 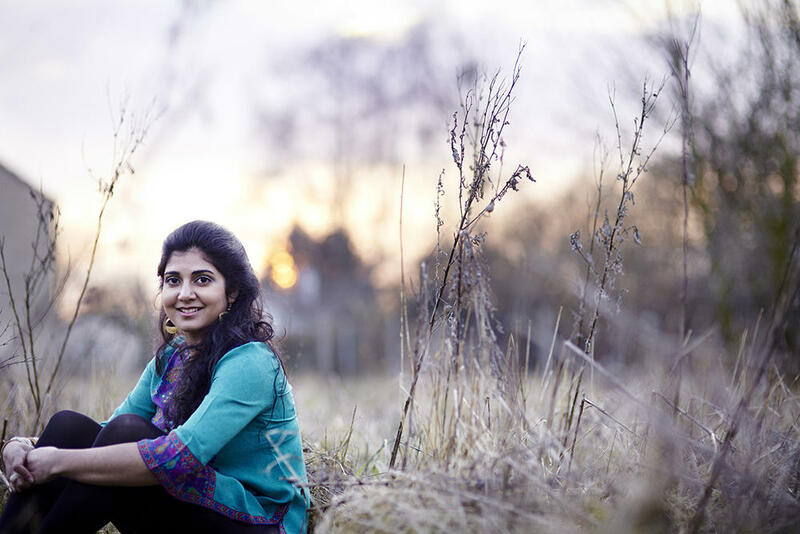 By five, the little but already largely talented Kavita was taking classical piano lessons. As a child with already wide-open ears, she was often glued to the dial at HOT 97, New York’s hippest hip-hop radio station, tuned into the changing world and already immersed in diversity. For fun, she’d sing along with her varied CD collection. By age ten, in what she calls one of the major formative musical experiences of her life, she joined the prestigious Young People’s Chorus of New York City, an elite, award-winning youth group. It quickly became her mini-university of diversity where the verbally gifted child got to perform regularly, singing in more than 15 languages in such dream-like Big Apple cultural temples as Carnegie Hall and Lincoln Center. Not only was she first exposed to jazz here -- initially getting hooked on Ella Fitzgerald’s mega-hit version of “A-Tisket A-Tasket” -- but she also got to sing everything from standards to folk music, from pop to opera, from gospel to classical, and even contemporary pieces of serious music by such cutting-edge composers as Meredith Monk. “That was my point of entry into a lot of cultures,” Shah said of singing with the globe-trotting choir. “From the age of ten, I was singing in everything from German, Italian, Latin, French, Portuguese, Spanish, Swahili, Hungarian, Czech, Norwegian, you name it. We’d do classical music, like Brahms in German, then an African song in Swahili.” Even the makeup of the choir itself was a melting pot of New York City’s ethnic groups and economic classes, she adds, a microcosmic world in which music dissolved traditional socioeconomic boundaries. Even with the success of Visions, Shah, a born striver and a quietly modest individual, said she must keep evolving and learning, constantly dealing with new ideas. Shah will be accompanied at the Side Door at 8:30 pm on Saturday, August 23, by the Argentinian pianist Leo Genovese, Venezuelan bassist Bam Bam Rodriguez, drummer Clarence Penn and Stephen Cellucci on tablas. Admission: $28.50. Information: thesidedoorjazz.com and (860) 434-0886. The Club is at 85 Lyme Street in Old Lyme. Graced with the robust technique of a premier concert hall pianist, Cyrus Chestnut is totally absorbed in exploring and celebrating the seemingly unlimited sonic potential of his grand instrument, using its keyboard and pedals to generate resonant, thickly-textured, amazingly agile, nuanced orchestral effects.